In the Book of Mathew Chap: 23:23. it says that: “They left undone what they ought to have done and did that they ought not to have done and there is no truth in them”. In exact quotation it says:“…Woe to you, scribes and Pharisees, hypocrites! For you pay tithe of mint and anise and cummin, and have neglected the weightier matters of the law: justice, mercy and faith. These you ought to have done, without leaving the others undone”. Verse 24 says: “….. Blind guides, who strain out a gnat and swallow a camel…”. All this means that you concentrate on peripheral issues but neglect much more fundamental issues. That was exactly the problem of Uganda and many parts of Africa prior to the rise of the NRM in the 1960s as part of the Student Movement and also the rise of the other Liberation Movements. Prior to 1862, when the first European, Hannington Speke, came to Uganda, this area was under tribal kings and chiefs ruling over the fraternal but divided peoples of this area. You had the kingdoms of Bunyoro, Buganda, Nkore, Rwanda and the chiefdoms of Mpororo, Busoga, Lango (Bukiri), Buhaya, Acholi (Gani), etc. On many occasions, these kingdoms and chiefdoms were at war fomented by the myopic and ego-centric kings fighting for looting ─ “kunyaga”. There had been, according to mythology and history, some period of peace, prior to 1500 AD, during the time of the Bachweezi, when much of Nkore, Bunyoro, Buganda, Bukiri, etc, had been united. However, the Bachweezi dynasty had collapsed and had been replaced by the new dynasties of the Kabakas in Buganda, the Babiito in Bunyoro-Tooro, the Bahiinda in Nkore-Karagwe-Buhaya and the Bainginya in Rwanda. It is these that were promoting wars among our people. Our peoples are either similar or linked. Certainly, linguistically, all the interlacustrine Bantu speak, more or less, one language with different dialects. These Bantu dialects have linkages with the Nilotic dialects which, more or less, are one language, so do the Bantu dialects have linkages with the Nilo-Hamitic and the Sudanic languages (Ateso-Akarimojong and Lugbara-Madi). Examples: the Madi word for home is “aku”. What is the Bantu word for home? It is “eka” for many of the dialects. The Lugbara word for syphilis is: “oyaa”. In some Bantu dialects, the word for syphilis is: “ebihooya”. The word for daughter in Luo is “nyara”. Those who speak Bantu dialects know what that word means ─ very much connected with daughter-making. The word for anthem in Acholi is “Lubala”. The word for clan anthems in Luganda is “Mubala”. One of the first European visitors to come to Africa, was HM Stanley. In his Book: “Through the Dark Continent Vol II” on page 3, he wrote as follows: “The Wajiji, Wazinja, Wazongora, Wanyambu, Wanya-Ruanda, Kishakka, Wanyoro and Wanyankori, Wasui, Watuusi, Wahha, Warundi and Wazige; all these tribes are related to each other and their language shows only slight differences in dialect”. “By a gradual rise from Amranda southward we escape after a few miles out of the unlovely plains to older land producing a better quality of timber. Before we were 100 feet above the lake a visible improvement has taken place, the acacia has disappeared and the myombo, a tree whose bark is useful in native cloth and for boxes and which might be adapted to canoes, flourished everywhere. At Bwanga, the next village, the language of the Wahuma, which we had heard continually since leaving Albert Nyanza, ceases and the Unyamwezi interpreters had now to be employed, which fact the skeptical Zanzibaris hailed as being evidence that we were approaching Pwani (the Coast)”. There you are. This complete stranger, who had only been to this area two times, could quickly notice that the Bantu dialects spoken between the Ituri Forest and Mwanza in Tanzania were, essentially, one language which he called the “Wahuma” language. Indeed, many Bahima speak different dialects of the same language. Stanley had noticed what some people, these days, call Runyakitara language. However, our ego-centric chiefs were promoting tribal chauvinism, division and wars among these fraternal peoples. When the foreigners, therefore, came, we could not resist them because we were divided. By 1900, the old arrangement had been defeated and a colonial one was put in place. In addition to the old tribal chauvinism that had been being promoted by the kings and chiefs, a new pseudo polarization was added ─ that of religious polarization. This meant Catholic against Protestant and vice-versa, Christian against Moslem and vice-versa. This was due to importing into Central Africa the nonsensical conflicts of Europe (Catholics vs Protestants) and the Middle East and the Balkans (the Christian crusaders vs the Moslems). The conflicts between the Protestants and Catholics in Europe had been called the “Thirty years wars” ─ between 1618 and 1648. The combined sectarianism of tribalism and religion, reinforced by gender chauvinism, was, therefore, the dominant ideology of the opportunistic political elite by the time of Independence in 1962. It is this sectarianism and gender chauvinism that could not allow our Independence leaders to build a capable State (Army, Police, Judiciary, Civil Service, etc., etc). They could also not build wide unity to guarantee peace (obusingye) and stability (obutebekana). Hence, the unstable, unprincipled political arrangement of the coalition government of UPC and Kabaka Yekka of 1962-64. It was called: “Omukago”. It reminds me of The Democratic Alliance (TDA). 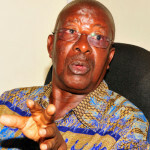 It soon collapsed, with disastrous consequences for Uganda ─ the 1966 crisis, the 1971 coup detat, the killings of 1966 to 1986. You could even add the Kony wars and the cattle-rustlers of Karamoja. They all had linkages with these ideological mistakes. Some of us had belonged to the old political parties: Democratic Party (DP), Uganda Peoples Congress (UPC) and Kabaka Yekka, formed on the basis of religious and tribal sectarianism; DP for Catholics, UPC for Protestants and Kabaka Yekka for Baganda Protestants. This was a pseudo-ideology trying to base itself on peoples’ identity rather than people’s interests. Exploiting identity and eclipsing people’s legitimate interests. This is when the pre-cursors of the NRM ─ the student study groups, USARF (University Students African Revolutionary Front), etc., came in and started rejecting this pseudo-ideology based on the legitimate interests of the people. What is primary to people’s prosperity and security: identity or interests? The real most positive element of human interaction is interests ─ especially prosperity. As a Munyankore, who guarantees your prosperity? Is it the Banyankore that do so or not? The answer in the pre-colonial, colonial and post-colonial times is categorical, clear and unambiguous. It is not the Banyankore that guaranteed our prosperity but the other communities (tribes) of Uganda, the Great Lakes and East Africa. In the colonial times and post-colonial times, I went to school because of Baganda money. How? 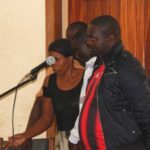 It is the Baganda traders ─ Walusimbi and “Bukyenya” ─ that were buying our cattle during the monthly cattle auctions (at Ntungamo, Rubaare or Kagarama). That is how Mzee Kaguta got money to pay for my school fees. Later, these traders were joined by a European, known as Shear, operating out of Ishaka town, who was buying cattle for Kilembe Mines when it started operating around 1956. Our cow, Mpuuga ya siina, tossed this white man with its horns and it earned a praise-name (ekikubyo) from Mzee Kaguta for that feat. He refused to sell it. Today, the mutual support for our people’s prosperity is much clearer. The Banyankore are prosperous because the other Ugandans and other Great Lakes people buy their milk, beef and bananas. The international community buy their coffee, their tea, etc. Even in the pre-colonial times, Banyankore prosperity was assisted by cloth (emyeenda) from the East African Coast, by ebitooma (embugu) from Kookyi and Buhaya, etc. They would adorn themselves with emiringa (copper bracelets) from Buleega (Congo). It is parasites who attempt to eclipse people’s interests with the issue of identity: Hutu vs Tutsi, Cattle-keeper vs Cultivator, Northerners vs Southerners, Christians vs Moslems, Whites vs Blacks, etc., etc. It is parasites who push these lines. When such parasites push that line, we have no alternative but to deal with it as we did in South Africa, the Sudan, Rwanda-Burundi or here in Uganda. Otherwise, the legitimate interest of the people is prosperity and that prosperity is, most of the times, supported by inter-tribal linkages rather than the intra-tribal linkages. It is the different tribes that buy what we produce rather than our own tribes. With this realization, the NRM, therefore, evolved, quite early, two principles: patriotism and Pan-Africanism. Patriotism meant unity within Uganda so as to ensure our prosperity and security. Pan-Africanism was so as to promote unity in East Africa and Africa in order to guarantee the same prosperity and security even better. The unity of Uganda, the market of Uganda, is not enough to guarantee our prosperity (buying what we produce) and strategic security (to defend our sovereignty against the imperialists). The unity of East Africa, the unity of Africa can do these two better than the mere unity of Uganda. One cause of parochialism and sectarianism of ideology is a stunted society in terms of socio-economic transformation. The absence of a productive middle class, national bourgeoisie, compounds the problem of ideological bankruptcy. You either have a bureaucratic bourgeoisie depending on Government salaries who believe in exclusion rather than inclusion because they stand better chances of getting jobs and promotions with the principle of the “fewer the better” or you have the comprador (agent) bourgeoisie who depend on imports for a livelihood, thereby turning our market into a dumping ground for foreign products and ensure a constant hemorrhage of our forex that continues to enrich external interests and cause economic anaemia to our own country. The comprador bourgeoisie, by flooding our markets with foreign products, are supporting the prosperity of the foreigners. The National bourgeoisie (the manufacturers, the farmers, the exporters, etc), tend to be patriotic and also Pan-Africanist because their interests compel them to look for markets in the region and abroad. The National bourgeoisie will, however, not grow by itself. This is where our third principle comes in. This is the principle of socio-economic transformation. The NRM and other reformers before it had to trigger socio-economic transformation that would see our mainly peasant society, with a heavy dose of a petty bourgeois class (civil servants, teachers, etc), metamorphose into a middle-class and skilled working class society. The middle-class should have a high proportion of the National bourgeoisie (the manufacturers, the farmers, the service providers, the infrastructure developers) and not just traders ─ especially not importers of goods and services that can, more economically, be made here. This is, indeed, the difference between Europe and Africa. Around 1400 AD, Europe was a three class society: the feudalists (aristocrats), the peasants (farmers) and the artisans (black smiths, textile people, carpenters, ceramics people, etc). By the time of the French Revolution (1789) two new social classes had emerged: the bourgeoisie (middle-class) and the proletariat (industrial, farm and services workers). Africa in 1400 AD was similar to Europe at that time, with feudalists, artisans and farmers (cattle keepers or cultivators). Unfortunately, Africa did not go through an industrial revolution (invention of machines). Hence, by 1900 AD, at the dawn of colonialism, Africa was still a three class society: feudalists, artisans and farmers (peasants). The colonialists destroyed the feudal class because it was competing with the colonialists for political power and also destroyed the artisan class because it was making goods which colonialism wanted imported from outside ─ plates, spoons, hoes (chillington hoes rather the indigenous enfuka), pangas, etc. It is only the peasants that survived. They were, later on, joined by small groups of the petty bourgeoisie in the form of clerks and interpreters and later by petty traders. It is only now that the national bourgeoisie (the Mulwanas, the Madhivanis, the Methas, the Sudhirs, the Mwebesas, etc), are beginning to emerge. Those add to our economic strength by producing products that we consume or we export; thereby, ameliorating the hemorrhage on our economy where money flows from here to the outside to our detriment. The fourth principle of the NRM is the democracy. Democracy is clear enough. Ugandan’s democracy, the democracy pushed by the NRM, is much richer than anything, anybody, has attempted to do in the world, other than the ancient Greeks who produced direct democracy, in the City States. We have empowered women, the youth, the workers, the disabled, the soldiers, etc. I must, however, condemn in the strongest terms possible those who pollute our democracy by trying to cheat in any election. Some of the practices in our Primaries were shameful. I corrected the few cases I had time to attend to. These were Kanungu and Namutumba. In a recent article, I analysed those mistakes. I do not have to repeat here the contents of that article. It is attached. The NRM democracy must be kukyenuura-based through production of wealth and jobs creation. Kukyenuura means to solve a solvable need. 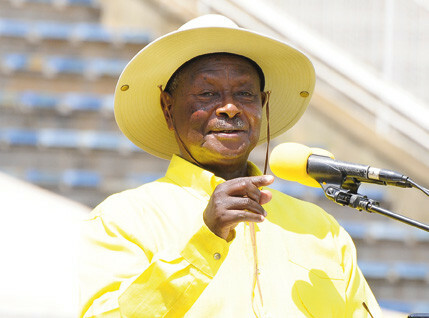 Having seen the four NRM principles, let us cast a glance at the way forward from where we are today. This is where our quotation, the one we started with, comes in handy: “They left undone what they ought to have done and they did that they ought not to have done and there is no truth in them”. This is where the political elites of Uganda and Africa let our people down. Over the last 50 years, the NRM has identified 10 strategic bottlenecks. Here below, they are restated. As you can see, we have been handling many of the strategic bottlenecks: ideological disorientation, a weak State, emancipating the private sector, the human resource development (education and health), modernizing the infrastructure, integrating the fragmented markets, etc, etc. Hence, we have got a better base than ever before. We are, therefore, in a position to tackle, step by step, the residual problems and convert Uganda into a middle-income country by 2019 and an upper middle-income country by 2040. In this term, the first step to take is for all of the political class to remember what it says in the Church of Uganda Prayer Book. It says: “Omuntu omubi kwarihinduka, yareka eby’okushiisha ebi yaakozire, yakora ebiragiro kandi ebihikire n’ebishemeire, aryakiza amagara gye kuza omukufa”. In English, it is translated as: “But if a wicked man turns from all his sins which he has committed, keeps all my statutes and does what is lawful and right, he shall surely live, he shall not die”. Therefore, if the political class repent their sins of being estranged from the legitimate interests of the people, they will have their political lives prolonged. I am a veteran of fighting poverty and working for socio-economic transformation in Uganda. I started this struggle, in earnest, in the Christmas of 1966 in the Butaka area (Rwakitura, Rushere, Naama, etc). That effort succeeded and, since 1995, I have been drawing the attention of the political class to that living example. Like the parable of the sower goes, much of the seeds fell on rocky ground and did not germinate. In that area, we were able to get the society to go through four steps. Step one, end nomadism. Step two, go from subsistence farming to commercial farming. Step three, do so, with ekibaro, cura, aimar, otita, (calculating profitability). Then step four, stop land fragmentation through inheritance. The area is now quite prosperous. The whole exercise was described in detail in my essay entitled: “From Obwiiriza to Amatafaari”. However, the political class has refused to learn from that lesson in many cases. The population in the cattle keeping areas have, however, totally changed. In Nyabushozi, Kazo, Kashoongyi, Bukaanga, Isingiro, Kabula, Ssembabule, Gomba, Ngoma, Kyenkwaanzi, etc, etc., the cattle keeping communities have shifted from the indigenous long horn cattle to the Friesian dairy cattle ─ selling milk and getting money per day. In the Government Research stations and also working with some farmers, we also worked out a packaging for the crop areas. In the 1996 Manifesto, as a sequel to my 1995 poverty eradication country ─ wide tour, we worked out the four acres plan. Have one acre of clonal coffee, one acre of fruits, one acre of pasture for six zero grazing cows and one acre of food crops (bananas, cassava or Irish potatoes). Add to these, back yard activities of poultry for eggs, pigs, rabbits, etc. and fish farming where there are wetlands nearby. It is now 20 years plus when the NRM has been telling you about how to get 68% of our households out of poverty through commercial agriculture as far as those families with land are concerned. Those with smaller pieces of land than the 4 acres, can also earn good incomes from onions, from tomatoes, vegetables, mushrooms, etc. In the Manifesto, I pledged to enhance the wealth funds: NAADS, Youth, Woman, Micro-finance and the Innovation Fund. This is the medicine for the ones with small pieces of agricultural land. Those with big pieces of land have much more flexibility. They can commercially undertake anything they fancy: maize, tobacco, cotton, sugarcane, beef ranching, fruits, coffee or whatever. On account of scale, whatever they do, will bring in good income. Agriculture, however, will not be the only path for socio-economic transformation although it will provide raw-materials for a wide spectrum of industries ─ dairy, beef, textiles, fruits, grain milling, coffee, tea, cocoa, sugar, wood products, tobacco, medicinal herbs, etc., etc. The other industries will be based on minerals. 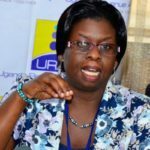 These will include: cement in Hima, Tororo, Bugisu and Karamoja; fertilizers ─ Tororo; steel – Tororo, Muko and Kanungu; gold ─ Buhweju, Mubende, Busia, etc, etc; petroleum ─ Hoima; marble ─ Karamoja; copper ─ Kilembe; aluminium ─ Busoga; tin ─ Ruhaama; vermiculite ─ Bugisu; coltan ─ Kisoro; uranium-nuclear energy ─ many places; etc., etc. Apart from industries based on agriculture and those based on minerals, there are also those based on human skills such as the Kiira electric car, the Kayoola electric bus, the multiple computer applications developed by our computer scientists, etc., etc. Therefore, the future is bright. We, however, need to provide a conducive policy framework to assist this transformation. Let us, for instance, take the issue of second-hand clothes, second-hand shoes, second-hand vehicles, etc. These products came in to keep our people going when our industries collapsed under Idi Amin. We, however, need to review them because they cause huge hemorrhage of our forex and also cause huge loss of jobs to the outside. When you produce textiles from our cotton, you create 6 levels of jobs: growing the cotton, ginning the cotton, spinning it, weaving it, tailoring it and printing the colours into the fabric. The total demand of textiles in Uganda, annually, is 226 millions of metres, worth US$270 million. If all these textiles are manufactured here, we shall need about 400,000 bales of cotton, each weighing 185 kilogrammes. All these dollars will remain here and we shall create direct employment of 80,000 people. A vertically integrated leather industry producing shoes for us, will do the same, taking advantage of our millions of skins and hides. In Ethiopia, the assembling of cars and motor-cycles rather than importing already built cars has created 160,000 jobs. There are our groups that have made a livelihood out of importing second-hand clothes, second-hand shoes, second-hand cars, second-hand computers, etc. We need to discuss with them and assist them to re-orient their businesses. Why don’t you distribute the locally manufactured goods instead of distributing the foreign goods that kill the jobs for your children? The logic is not that difficult to understand. The five wealth and job creation funds will assist those who cannot raise their own capital. These funds are: the NAADS Fund, the Youth Fund, the Women Fund, the Micro-Finance Fund and the Innovation Fund. These should be interest free or low-interest loans to those who cannot borrow from banks. These funds will do three things: First, help us to eliminate the 68% “baroreezi” (spectators) of the homesteads that were identified by the 2002 census as being outside the money economy. Wealth creation is one area where we do not welcome “abaroreezi” (spectators). I am a fan and spectator for Chameleon, Bebe-Cool, Kusasira, etc. However, with wealth creation, we must all be players. No spectators. Many of the 68% of the homesteads will be converted from subsistence farming to commercial, small scale farming. This will boost greatly agricultural production and provide a huge amount of raw-materials to the agro-based factories. Milk is already a good example; so is maize. Secondly, these wealth and job creation funds will assist our youth groups, women groups to enter and progress forward in the activities of cottage industries (wine-making, wood products, cloth weaving, knitting, etc. ), small scale industries (maize-mills, fruit processing, etc. ), services and internal distribution (produce buying, oxen fattening, etc). This money can be used to acquire common user facilities for the youth groups, women groups, etc., or any other relevant machinery. I have assisted some of the youth groups to start maize-milling operations, animal feeds mixing, etc. Thirdly, these funds will help our scientists to actualize their inventions ─ the Kiira electric car, Kayoola mini-bus, etc. The market of Uganda, that of the region and the international market access we have negotiated for with the USA, India, China, WTO and EU, will help us to absorb the huge production consequent to these efforts. We cannot go wrong. Africa is the epi-centre for the huge socio-economic transformation that is coming next. Let us not miss the bus again.